The combined Russian-separatist forces continued to attack the Ukrainian army positions in the directions of Artemivsk and Donetsk in the last day, the press center of the Anti-Terrorist Operation (ATO) wrote on Facebook on Wednesday. The militants used 82mm mortars, heavy machine guns and small arms firing on the villages of Maiorske and Zaitseve. 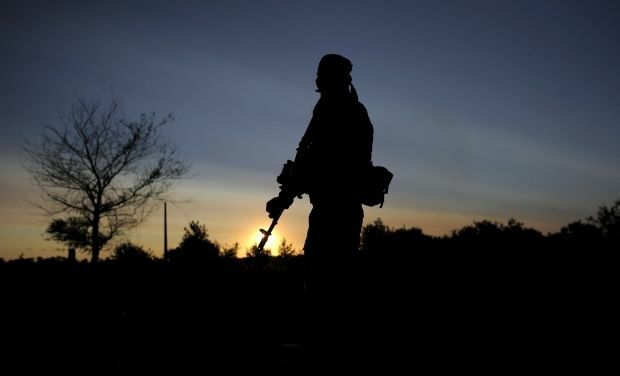 According to the press center, at 22:00 Kyiv time, the Russian-terrorist mercenaries tried to attack our military positions in the area of the village of Novozvanivka. Read alsoMilitants attack Ukrainian forces across conflict zone, situation most tense near Donetsk"When a sabotage and reconnaissance group of militants was approaching the Ukrainian troops, it was decided to return fire. The enemy retreated and tried to attack from the left flank. The Ukrainian troops opened fire on defeat. After taking away the dead and wounded, the invaders retreated," the report says. It is also reported that the occupiers fired small arms and grenade launchers on the towns of Avdiyivka and Maryinka, and the village of Pisky. The last shelling took place on Avdiyivka after 02:00.